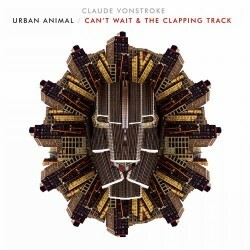 Claude VonStroke – "Can't Wait" / "The Clapping Track"
With just over a month before the release of his third studio album Urban Animal, Claude VonStroke gives fans a glimpse of two tracks with “The Clapping Track” and “Can’t Wait”, both out today. While the Dirtybird Records boss has made the releases of his crew a priority in 2013, he’s set to release a seven-track full-length in September. Both tracks on the release hold the carefree vibe of Mr. VonStroke, while still packing a bass punch to fit with the Dirtybird imprint. “Can’t Wait” is a sultry piano track that is beautifully smooth in its simplicity – a far cry from those expecting a banging Dirtybird club track. With a deep walking bassline and a vocal sample reminiscent of a significant other’s long-distance love, it’s just a preview of the melodic experiments VonStroke could explore over the course of an album. On the B-side of the release comes “The Clapping Track”, the surefire party starter of the two, with crowd white noise and, you guessed it, a steady march of claps to get the booties shaking. Borrowing a more tech-y vibe, it’s the perfect sound for the label’s inaugural Ibiza residency this summer at Sankey’s. Look out for Urban Animal, the 100th release on Dirtybird Records, out September 17.